cornerstone wrote: I have made some container candles, some from scratch with my own wick and wax and some bought, some i just made some bigger size by melting old wax from cheap candles putting a biggish candle in the middle and pouring the wax around the edges to make it bigger, i made some with my own wick in kilner jars with a nightlight threaded through the wick to give an extra 8 hour boost at the bottom as i did with all the container candles and some triple size nightlights. In view of the expected or reported winter blackouts. 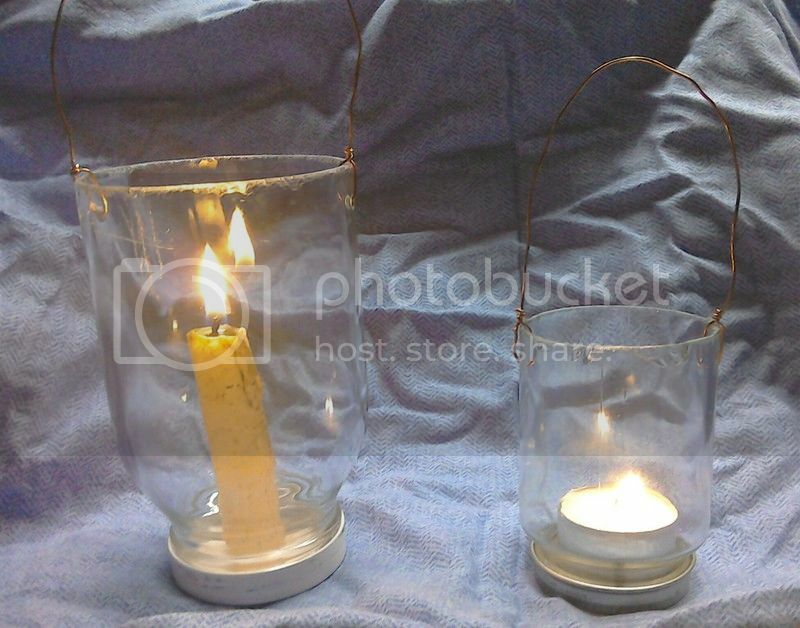 a 10% beeswax mix improves the container candle by almost double. SooBee wrote: Been spending the last few months training to live without Broadband! Hi Cornastone-Love to hear you are making candles-just be aware as I am sure you are that if you mix wax from different sources you don't know what concentration of wax/stearin/ etc is in them-they can explode from the side! Anyone else had this this week? 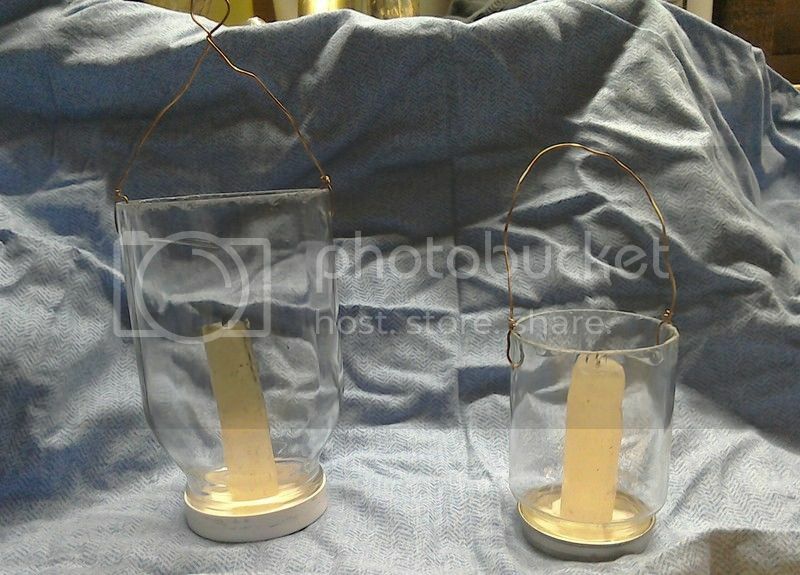 I've been making candle holders from old jars,drill holes either side,cut bottom off, candle fits in the lid and used some thick copper wire I had lying round threaded through the holes. Could do with a power cut to get the Mrs on board,does my head in how blinkered some people are! 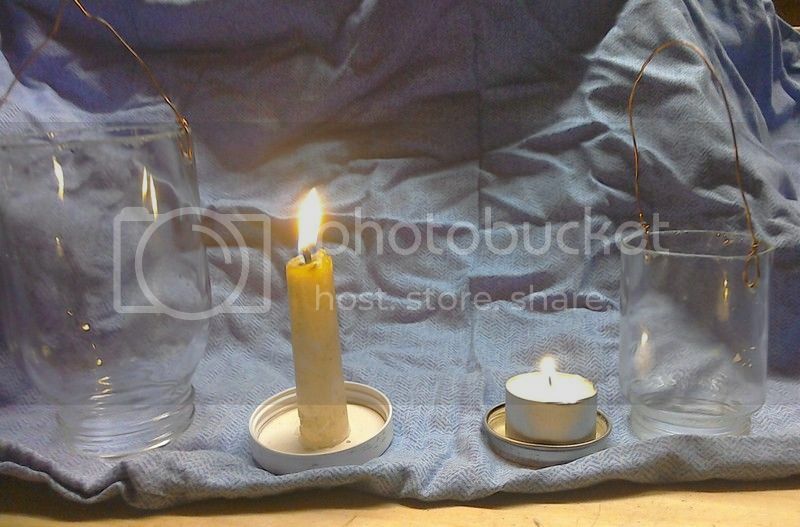 greyman wrote: I've been making candle holders from old jars,drill holes either side,cut bottom off, candle fits in the lid and used some thick copper wire I had lying round threaded through the holes. Drilling in to the glass jar and how are you cutting it?? 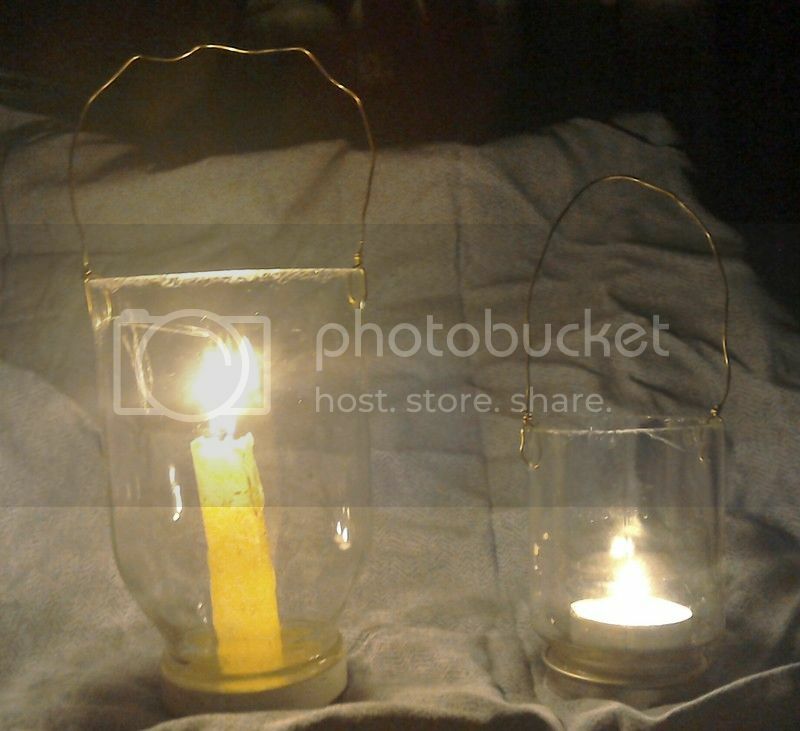 any pics or instructables.... ? Dead easy with the tile cutter,then I just rubbed the cut edge with a sharpening stone or wet and dry to take any sharp edges off. Get some pics up soon.